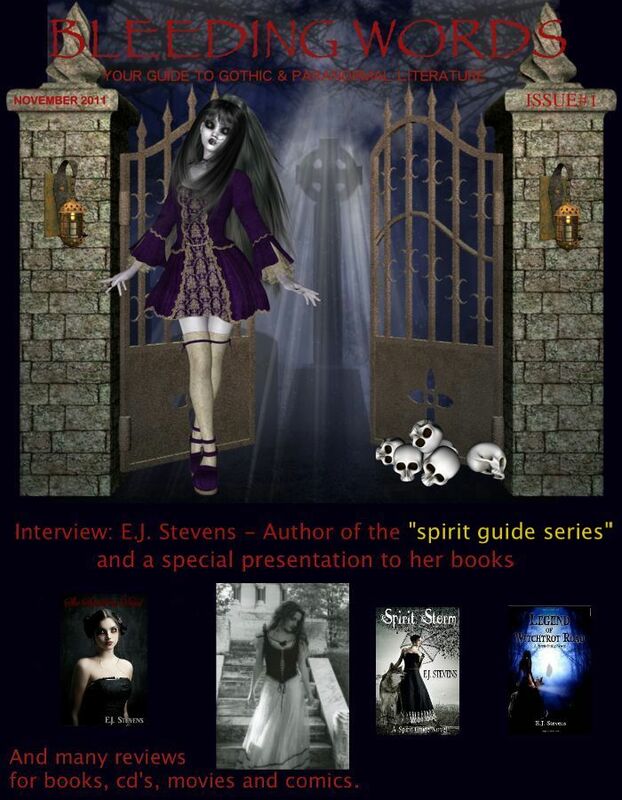 Please welcome today's paranormal guest author Chris Kariotis. Chris is the author of In the Dark and creator of Bleeding Words Magazine. Chris: Ten years ago. Mostly poems. Chris: Shapeshifting, because I like wolves and lions. EJ: Tell us why readers will enjoy your Bleeding Words Magazine. Chris: Because they'll read many good poems and paranormal stories written by the readers of the magazine (so boys and girls send your submissions now). They'll also read many reviews for books, cd's, movies and more. And an exclusive interview in every issue. EJ: Where can we purchase Bleeding Words Magazine? Chris: In ebook from www.smashwords.com and in print from www.lulu.com. Release date November 20. Thank you Chris for joining us here today at From the Shadows! To learn more about Chris Kariotis and his writing, please visit his website.